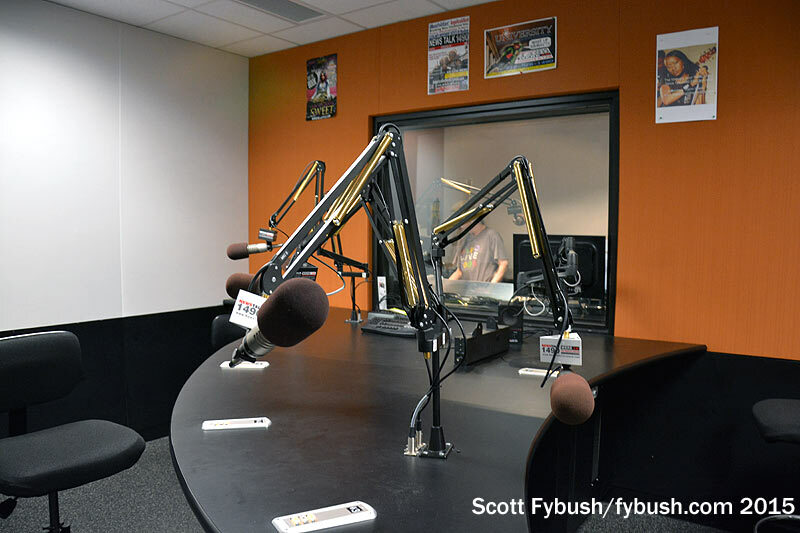 As we noted last week, our family situation is such that we spend a lot of time in northeast Indiana, which is why you see a lot of Indiana sites featured here on Site of the Week. And since we drive to Indiana from upstate New York, we spend a lot of time driving through northern Ohio. 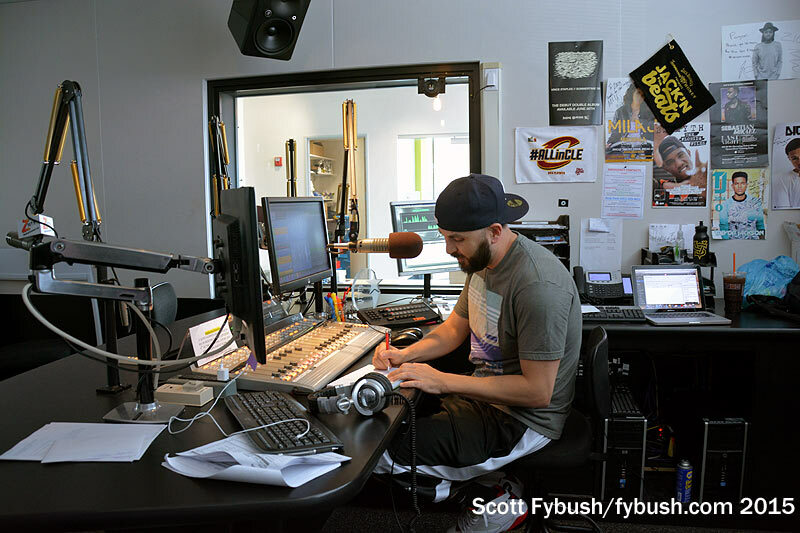 Yet somehow, the allure of being just two hours from the end of the long drive almost always seems to outweigh the allure of stopping to see stations in Toledo or Cleveland. 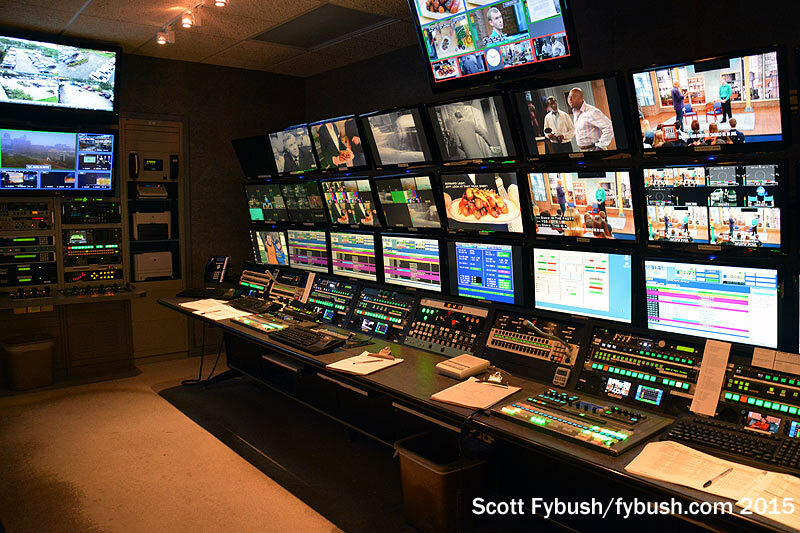 Summer 2015 brought an opportunity to change that: on the way home from Fort Wayne, we planned an overnight in Toledo, a very pleasant evening at a Mud Hens game and, the next morning, an equally pleasant tour of Raycom’s Toledo TV stations. 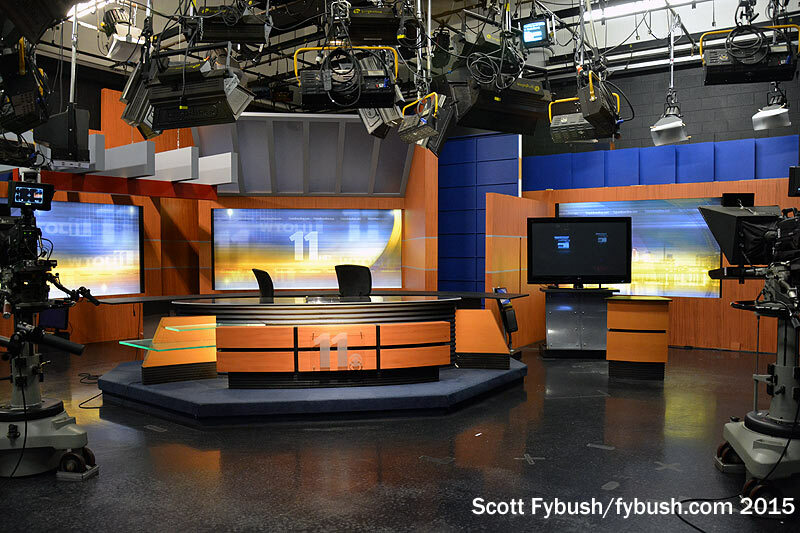 WTOL (Channel 11) is the senior player in this duopoly, along the Maumee River on the north side of downtown Toledo. 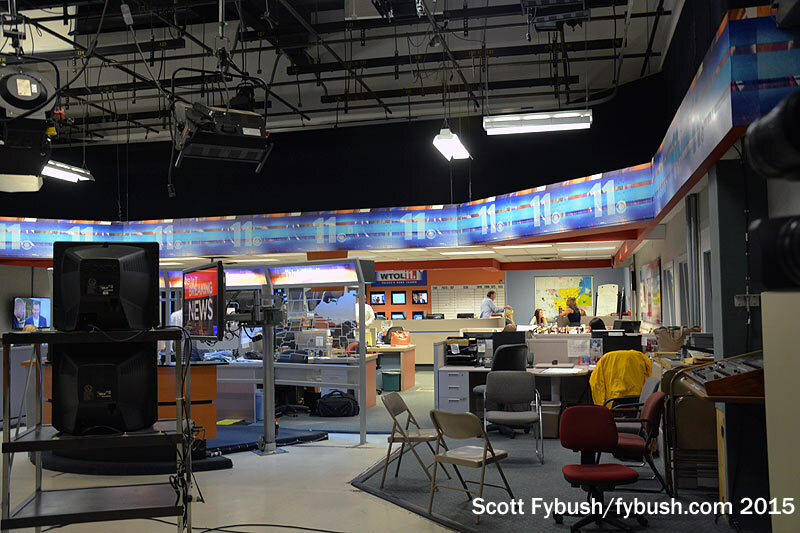 The CBS affiliate was the second TV station in town, almost a decade after WSPD-TV (Channel 13, now WTVG) signed on in 1949. 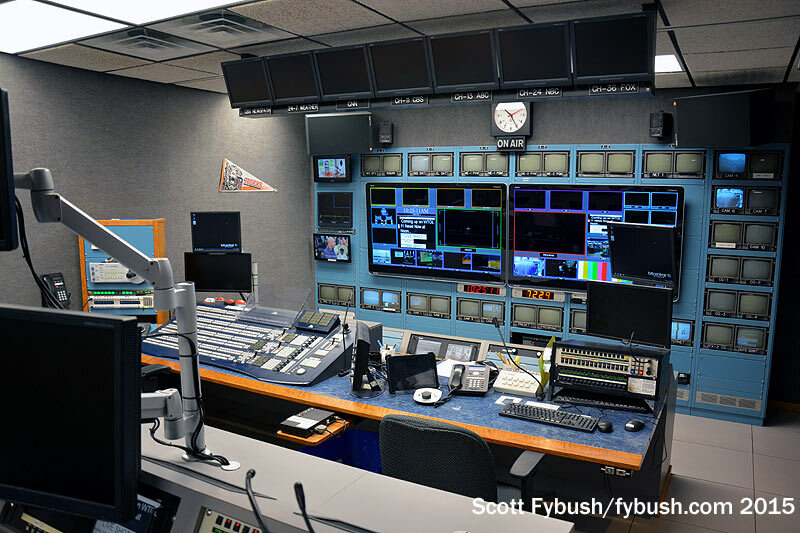 Since the early 1980s, WTOL has made its home at 730 N. Summit Street, along the Maumee River just north of downtown, in a former union hall that was expanded with a new studio wing when the TV station moved in. The top floor of the building, facing Summit Street at street level, is where the business offices are located. 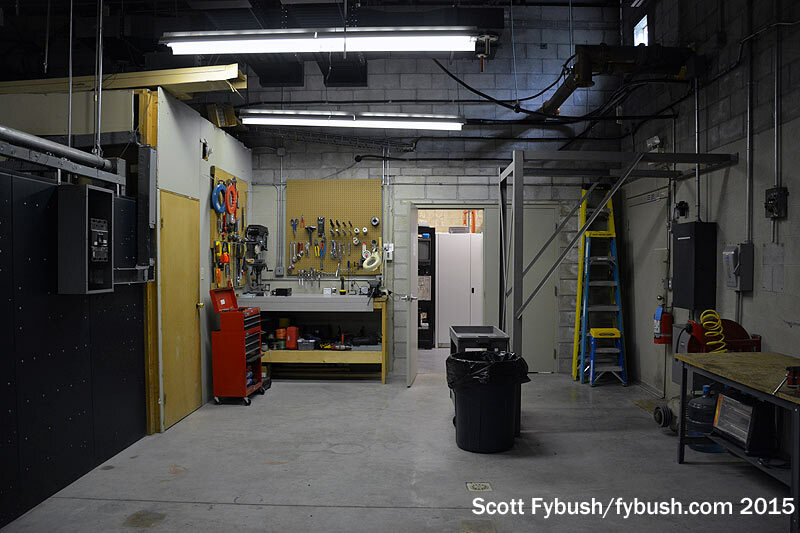 Downstairs, on the lower level facing the parking lot in back, is where the technical core is located. 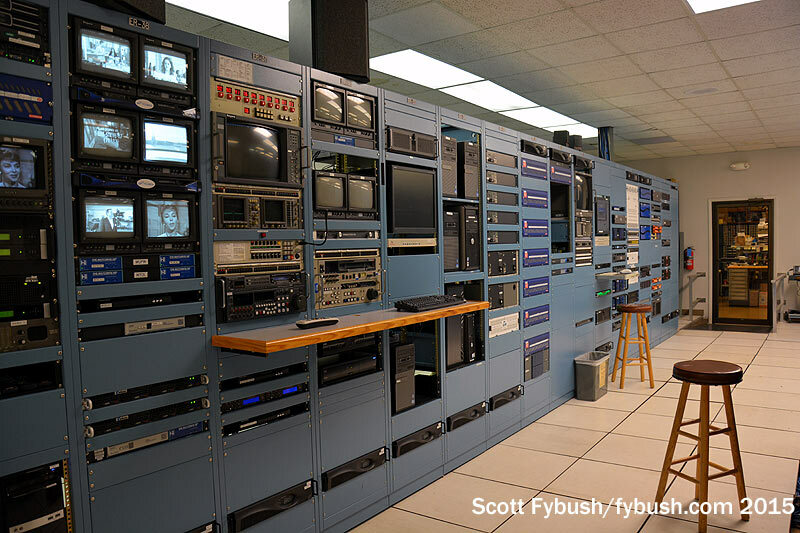 There’s an older rack room here, as well as a newer annex that’s home to most of the current HDTV gear for both stations and the master control for both. 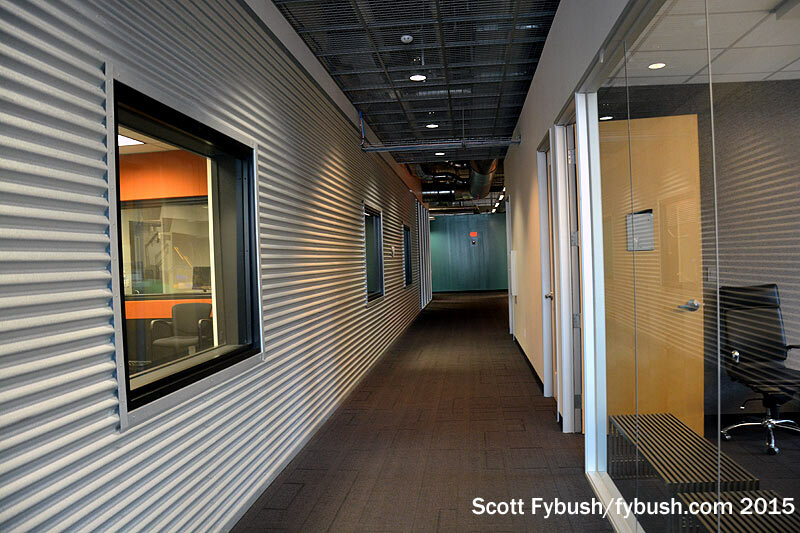 The lower-floor hallway leads around a corner to the studio/newsroom addition, including the production control room. 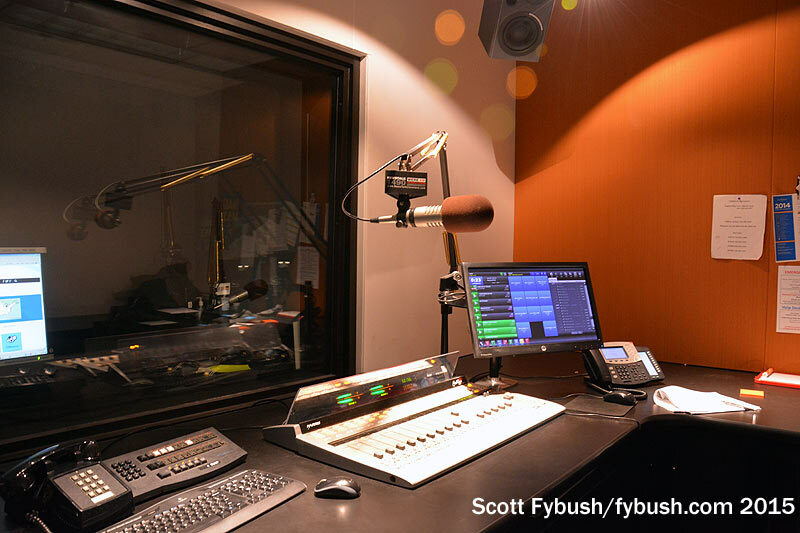 Across the hall, the studio forms one end of a big newsroom that connects to a second studio on the far end, as well as a garage that houses a satellite truck. 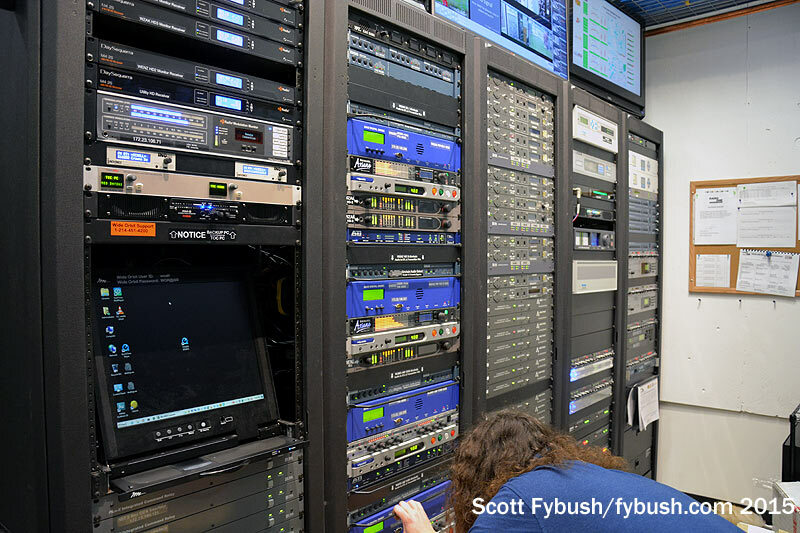 While WTOL and WUPW combined studios in 2012, they’ve maintained separate transmitter sites in the tower farm that stretches east of Toledo out along the Lake Erie shoreline in the town of Oregon. 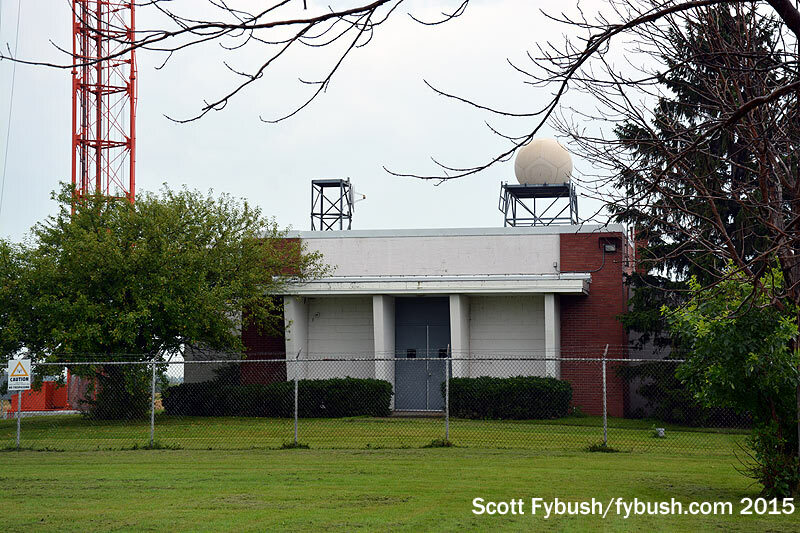 WTOL-TV has been at the same site since the station signed on in 1958, out near the eastern end of the tower farm. This site has been kept up very nicely over the years, right out to the 1033-foot tower out back. 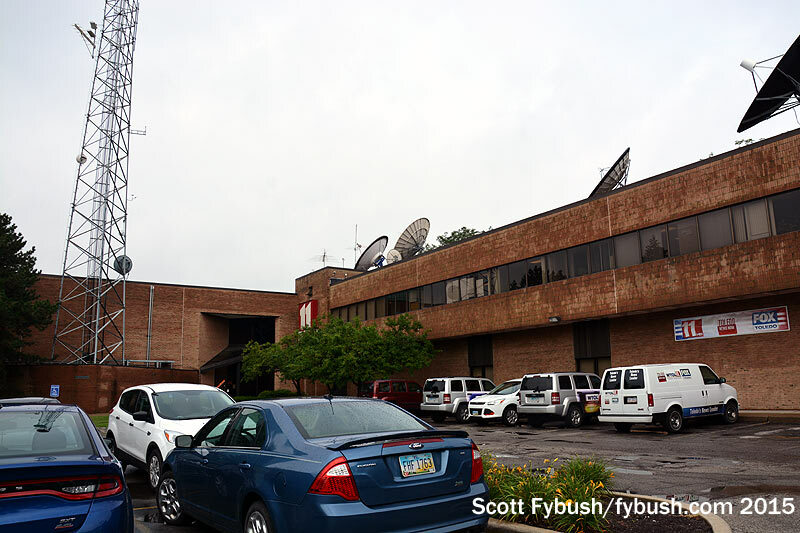 That channel 11 antenna at the top is the old WTOL analog antenna, which was flash-cut to digital use in the 2009 transition; in the interim, WTOL operated digitally on channel 17, from a side-mounted antenna. 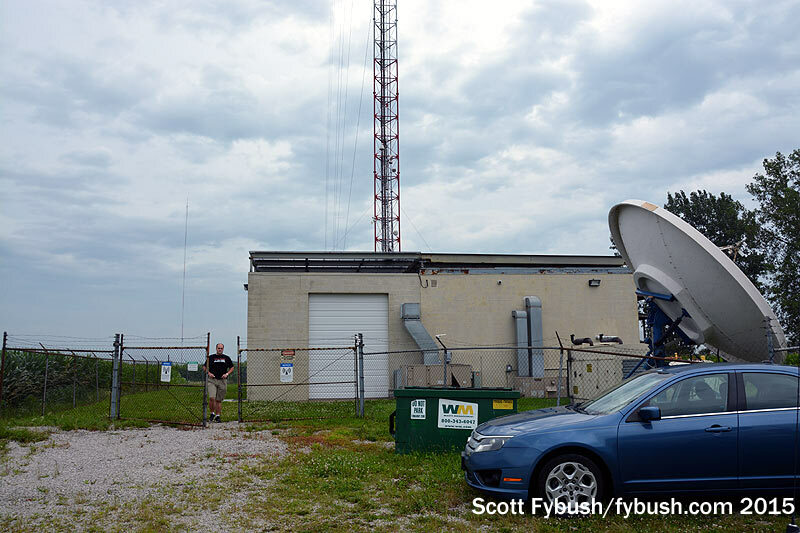 There’s another channel 11 antenna in the parking lot – it’s a directional antenna that was designed to reduce signal to nearby Canada but was never installed. 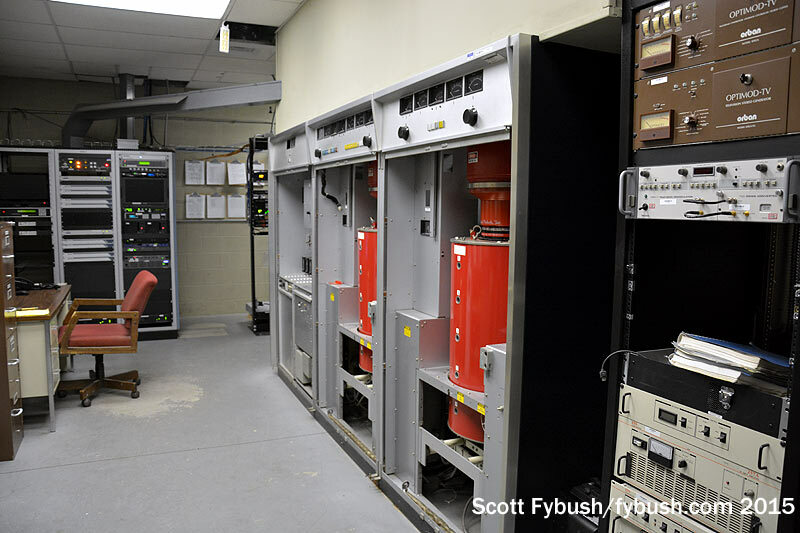 Inside, the old channel 17 transmitter is still in the building, taking up part of the main transmitter room in front. 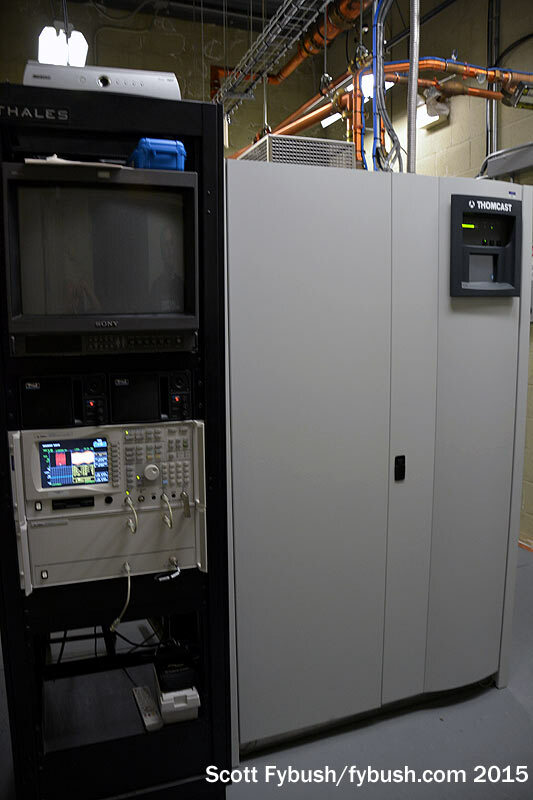 The former channel 11 analog transmitter, a Harris Platinum, has been repurposed for digital use. 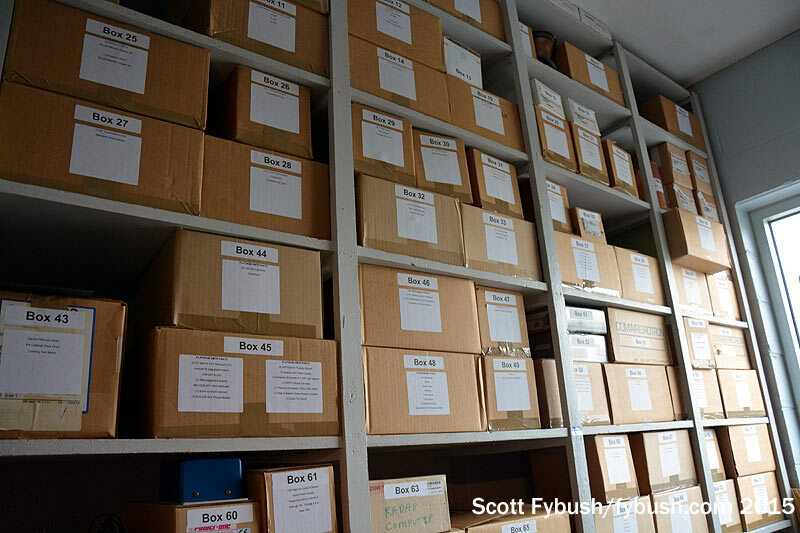 And check out that storage room on one side of the main transmitter room: a former senior maintenance engineer meticulously logged and boxed every imaginable spare part there. You don’t see work like that too often these days! 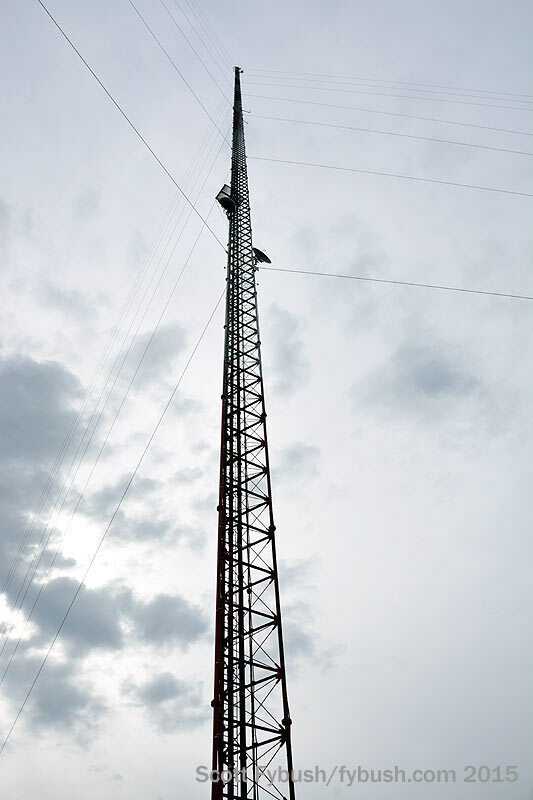 WUPW’s 1253′ Stainless tower is a little closer to town than WTOL’s, on Corduroy Road in Oregon. It’s newer, too, since the station only signed on in 1985. 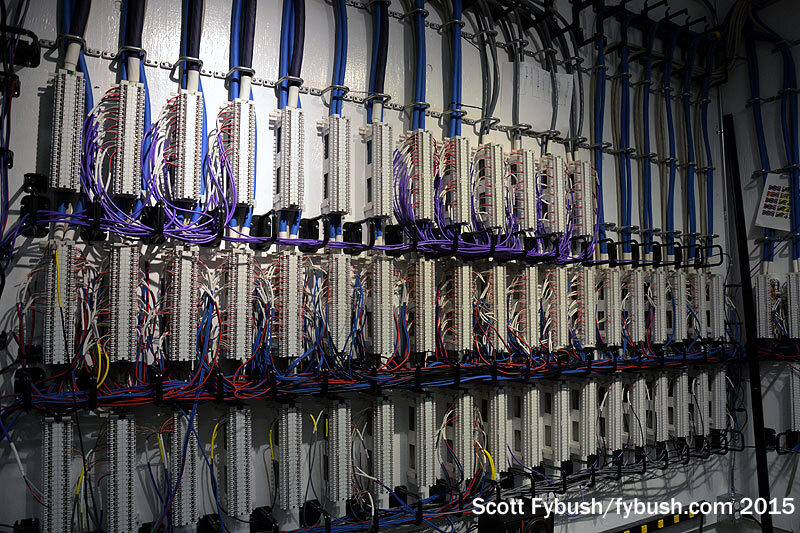 With the disappearance of analog, there’s not much in this building. 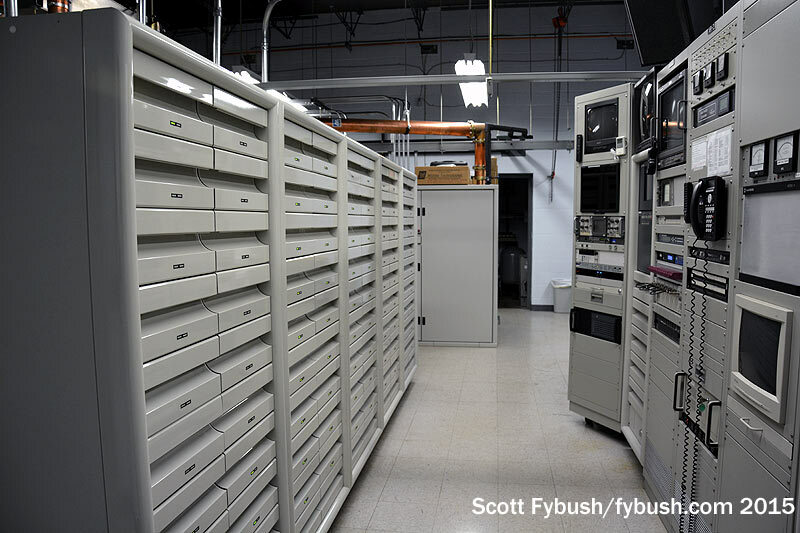 The old RCA analog transmitter that put WUPW on the air in 1985 is still here, sans doors, with its back side facing out into what’s now a fairly empty room. 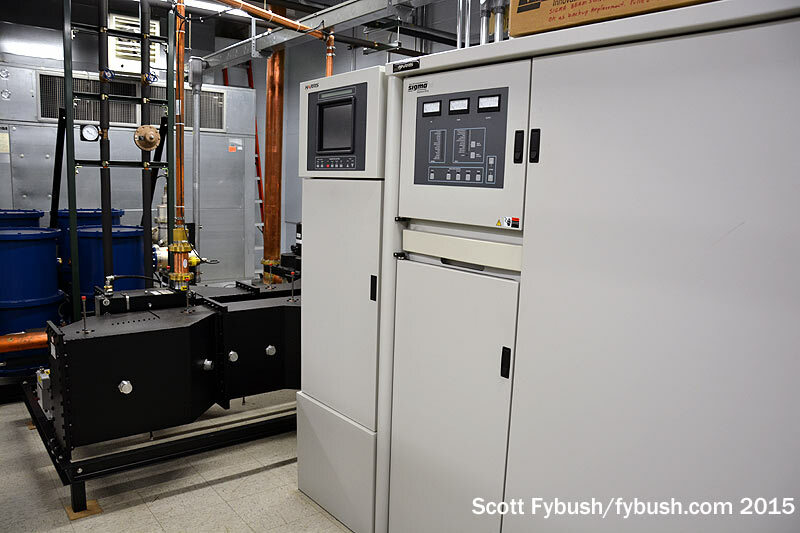 WUPW’s glycol-cooled digital transmitter sits in a small adjoining room, chugging happily away on RF 46. 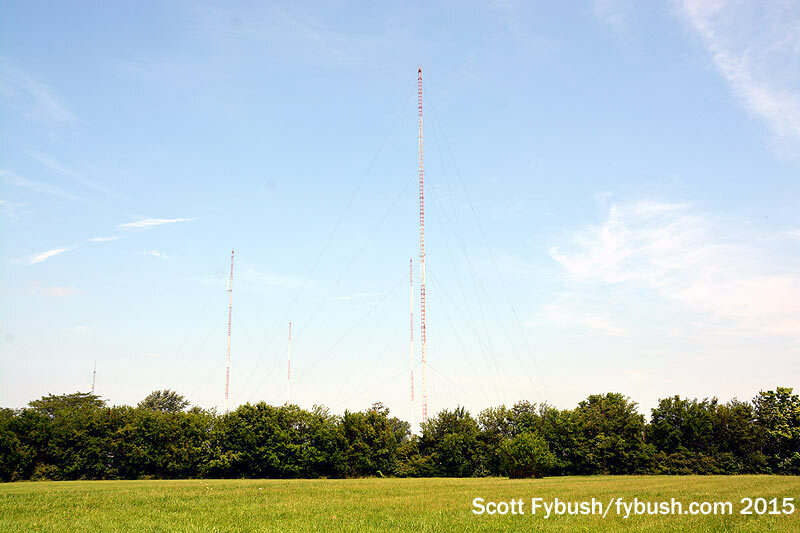 Both the analog 36 antenna (top) and digital 46 antenna (bottom) remain mounted at the top of the tower, which sits within view of several other towers in the farm, most notably the nearby thousand-footer that’s home to public broadcasters WGTE-TV (Channel 30) and WGTE-FM (91.3). One more Toledo site wasn’t on our agenda until waking up in the morning and realizing it was directly behind the hotel we’d randomly chosen the night before: on Pickle Road in Oregon, WOHO (1470) was a top-40 fixture in the market in the 1960s and 1970s under the ownership of Lew Dickey, Sr. This early Dickey holding eventually went into the family’s Cumulus group, and it’s stayed with Cumulus even after the Dickeys were eased out a few months after our drive-by visit. 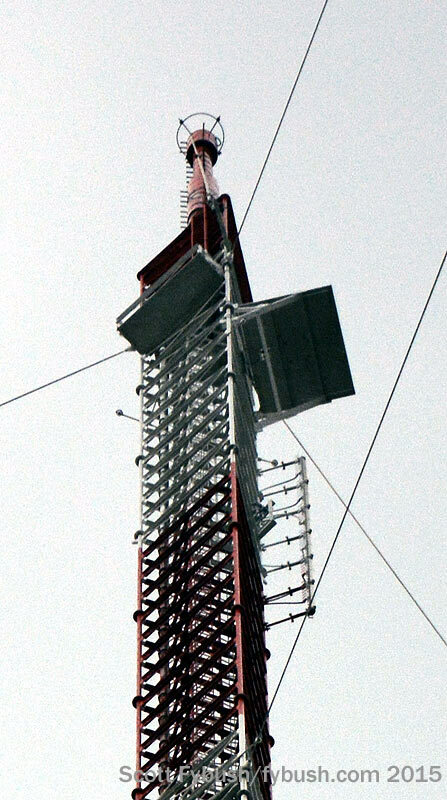 There haven’t been studios out here on Pickle Road for many years (we saw the current Cumulus facility across town in an earlier Toledo visit), but the 1000-watt 1470 signal is still out here, using this four-tower array in an extremely stretched parallelogram to broadcast talk radio as WLQR. 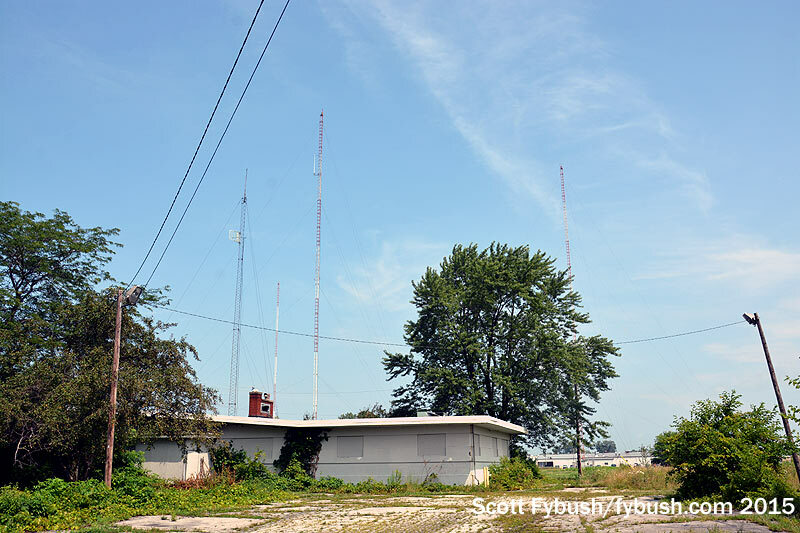 Cumulus holds a CP to move WLQR to a new four-tower site southwest of Toledo, so this venerable site may not be here much longer. On the way back to Rochester, while the rest of the family enjoyed the Rock Hall of Fame, your editor slipped away to pay a visit to one of the many Cleveland sites we still hadn’t seen. 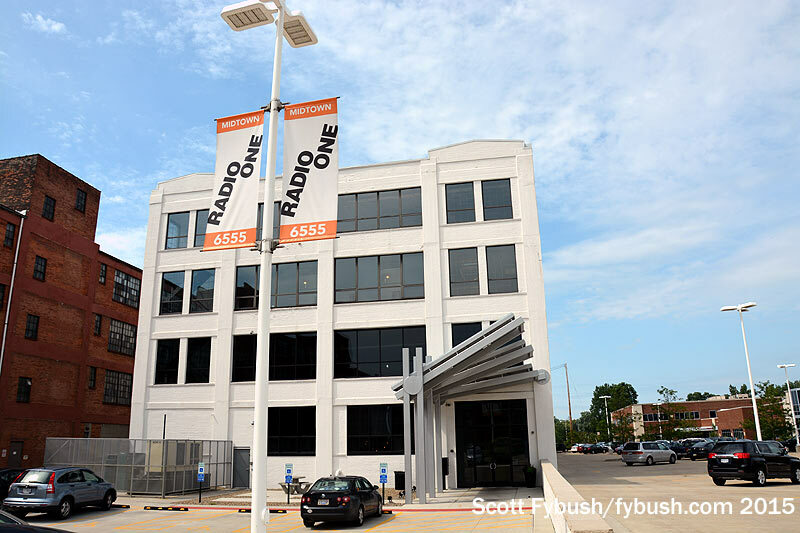 Radio One recently moved to a new studio facility on Carnegie Avenue, just off I-90 as it twists its way east of downtown. 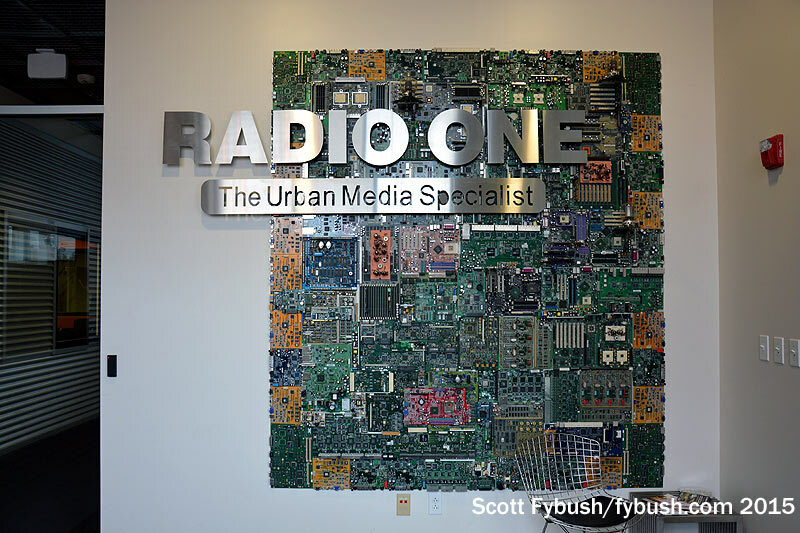 WZAK (93.1) and WENZ (107.9) are the older and younger-skewing halves of Radio One’s urban FM pair. 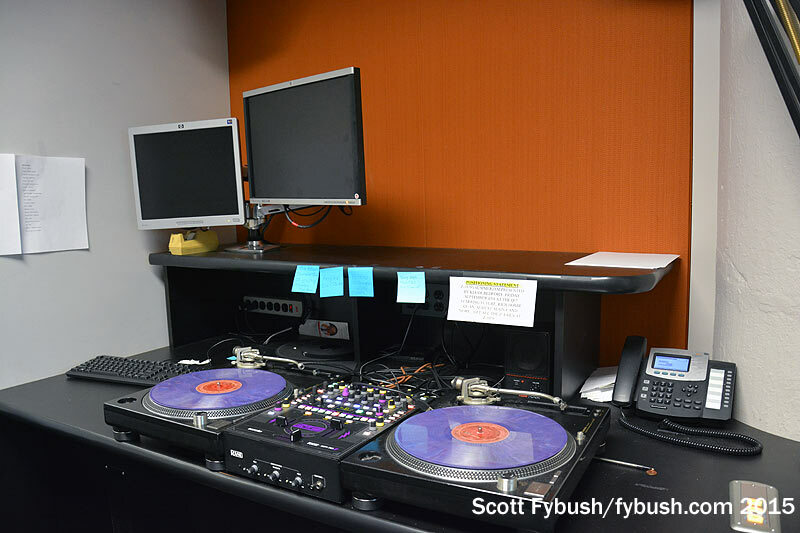 WZAK does urban AC from a studio midway down the hall; toward the front of the building, there’s a mix studio for mainstream urban WENZ (“Z-107.9”) next to the main WENZ air studio, which gets the window looking into the lobby and a window out to the parking lot as well. 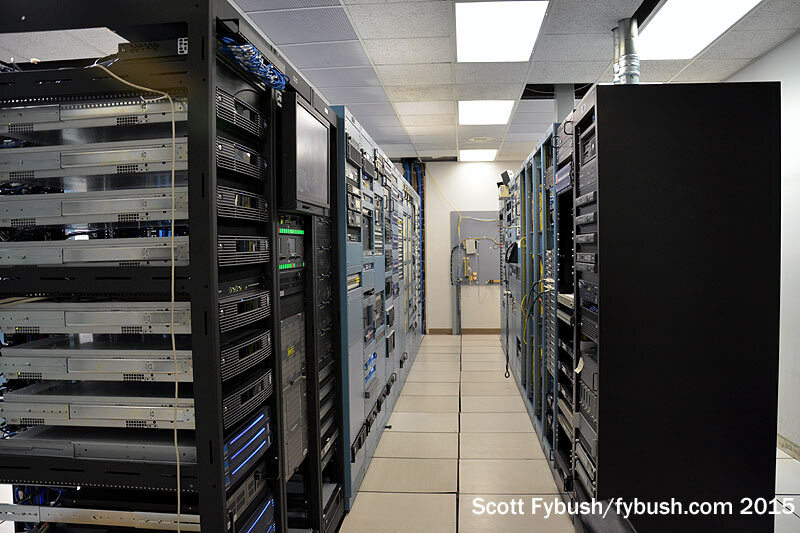 The rack room is at the far end of the hall, with one rack almost completely devoted to PPM encoding for all of the main signals, streaming and HD subchannels that come out of here. 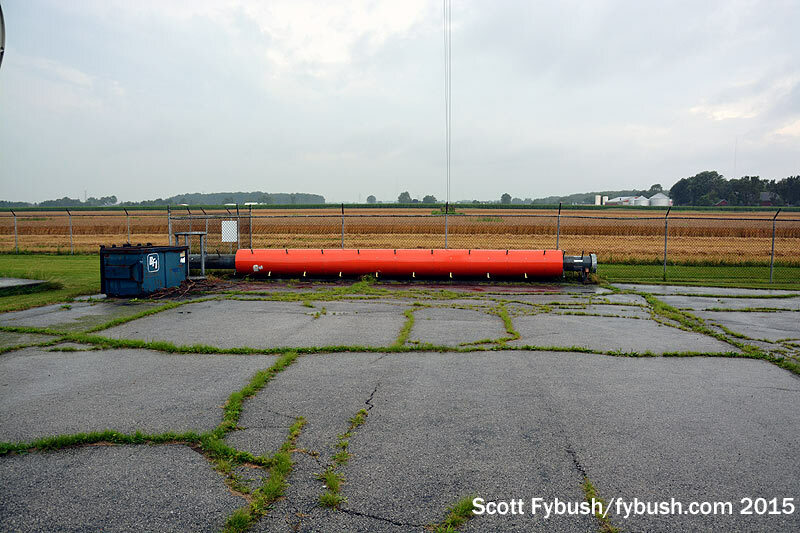 An STL tower on the side of the building feeds out to the 1490 site nearby, the 93.1 and 1300 sites to the south in Parma (we saw 1300’s site on an earlier visit, too) and to the 107.9 site way out to the east in Geauga County. 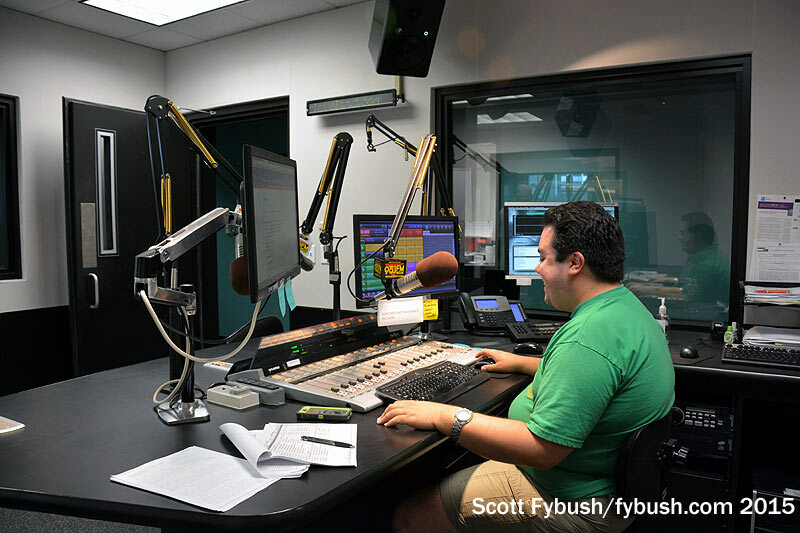 And at some point soon, we’ll stop by again to see more of those transmitters and much more of the fascinating radio and TV landscape in northern Ohio! 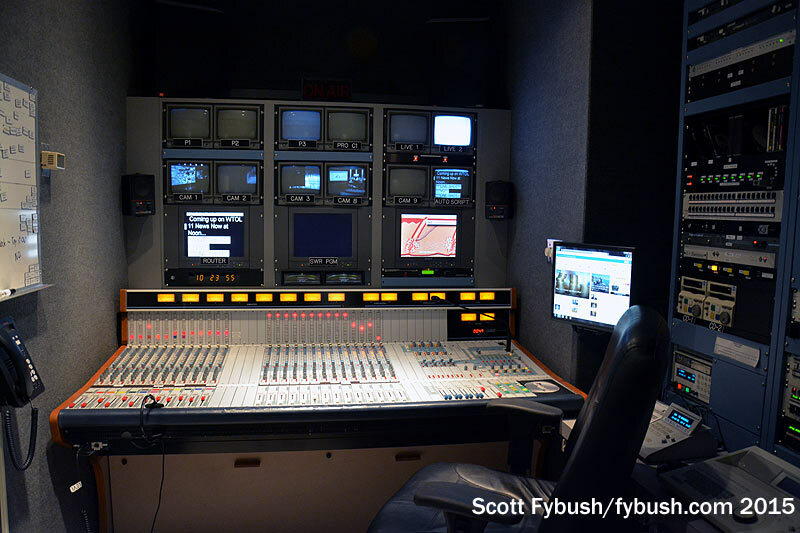 Thanks to WTOL’s Jay Schell and Keith Stuhlmann and Radio One’s Stephanie Weil and Gary Zocolo for the tours! And don’t miss a big batch of Ohio IDs next Wednesday, over at our sister site, TopHour.com!